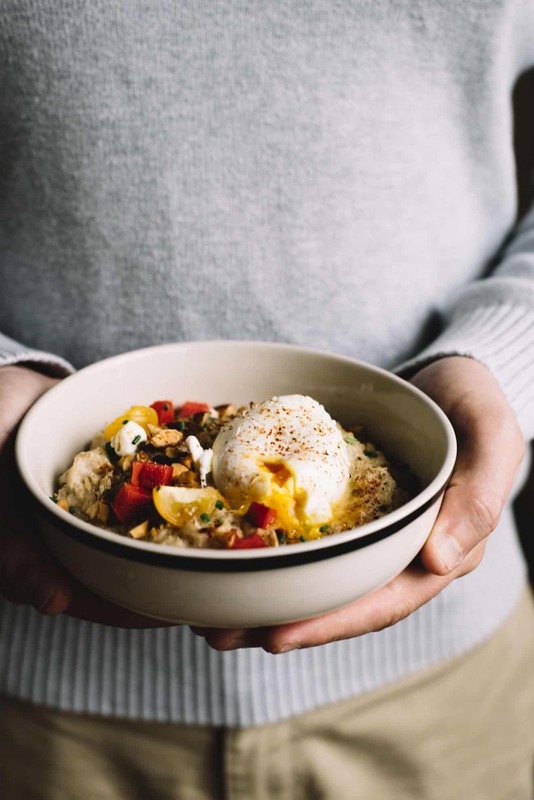 This savory oatmeal is topped with a poached egg and goat cheese. 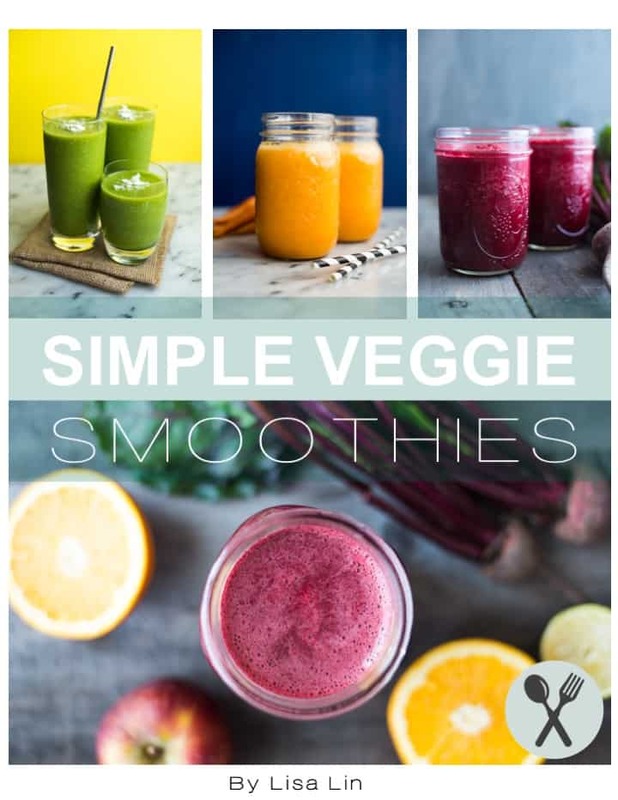 It’s the perfect easy, healthy breakfast! Ready in 30 minutes. A huge thank you to Blue Diamond Almonds for sponsoring this post! Mother’s Day is just around the corner, and Mama Lin isn’t even around to celebrate her day! She’s off schmoozing with her middle school friends in LA, drinking tea, and picking fresh fruits to her heart’s content. She is feeling like a kid again! Even though we’ll be hundreds of miles apart on Sunday, I’ll still be making savory oatmeal to celebrate this magnificent woman and all that she’s done for me. To say that she’s a hard worker is quite an understatement. I remember back when I was in high school, my mom worked around the clock. During the day, she was a full-time caretaker at a senior center. Every night, she came home, cooked dinner, and stayed up until 1 or 2am doing clothing alterations for extra money. As if that wasn’t stressful enough for her body, she would wake up at 6:30am the next morning to walk me to my bus stop for school. I don’t know how she was able to work like that during those years, but she managed. It’s her untiring work ethic that always inspires me! 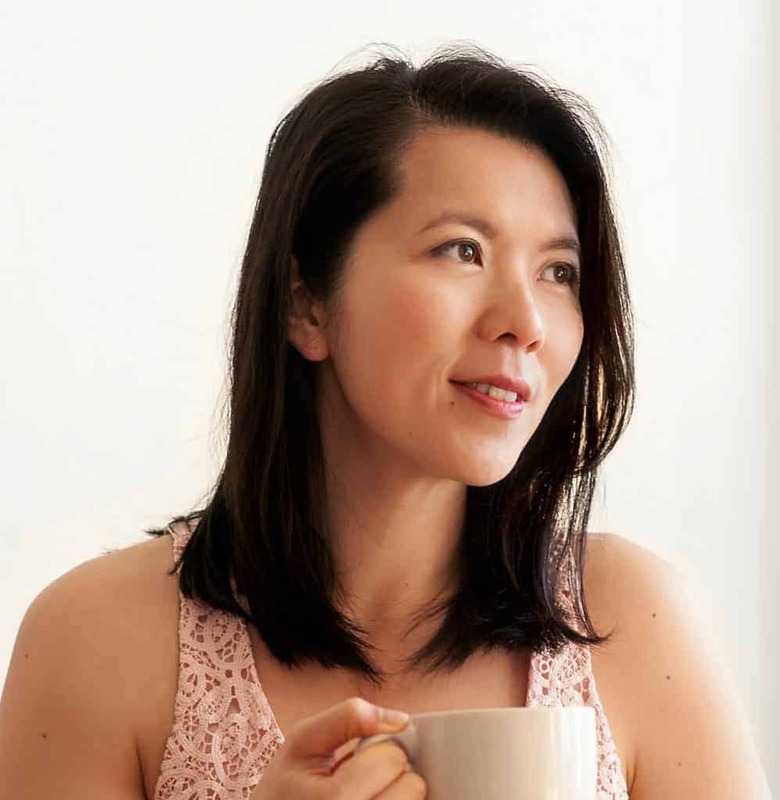 These days, Mama Lin is very diligent about starting her day with a bowl of oats. 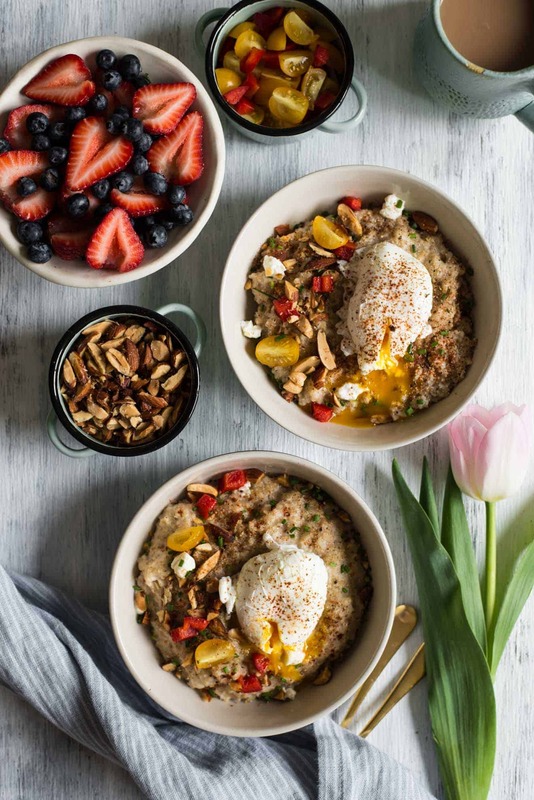 “Us old people,” she always says, “need to eat oatmeal to stay healthy and live longer.” So, in honor of Mama Lin, I’m sharing this scrumptious bowl of savory oats. I’ve mixed in a tiny bit of goat cheese and topped it with a poached egg and chopped Roasted Salted Blue Diamond Almonds for extra crunch. I always add chopped nuts into my oatmeal for a nice textural contrast. 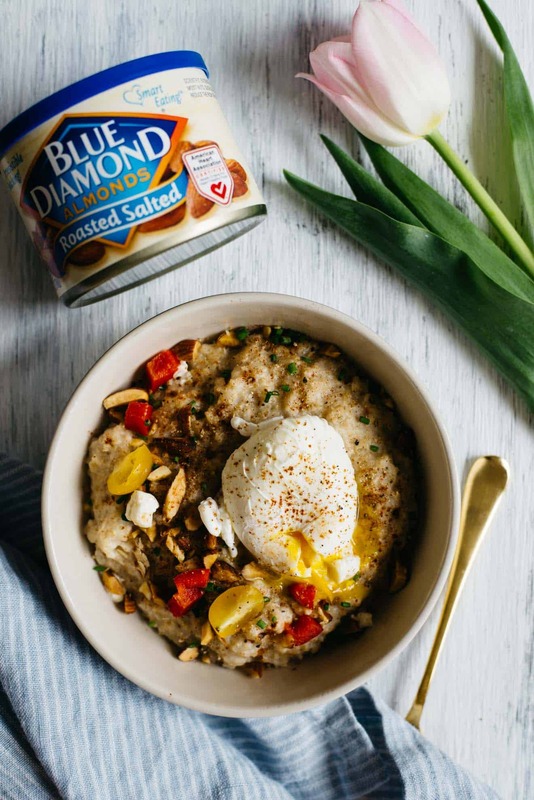 The roasted salted almonds are perfect in this oatmeal! What do you say—let’s give our mothers a treat and serve her a nice, healthy breakfast! Cooking poached eggs: This is the first time I’ve cooked poached eggs in a while, so I did some research online to figure out the best method for cooking the eggs. I found that this video from Jamie Oliver on how to cook poached eggs was the most useful. 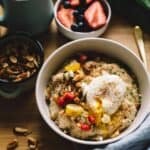 Since you’ll be laying these poached eggs on top of hot oatmeal, I suggest cooking the eggs for 3 minutes, as the heat from the oatmeal will continue to cook the egg. 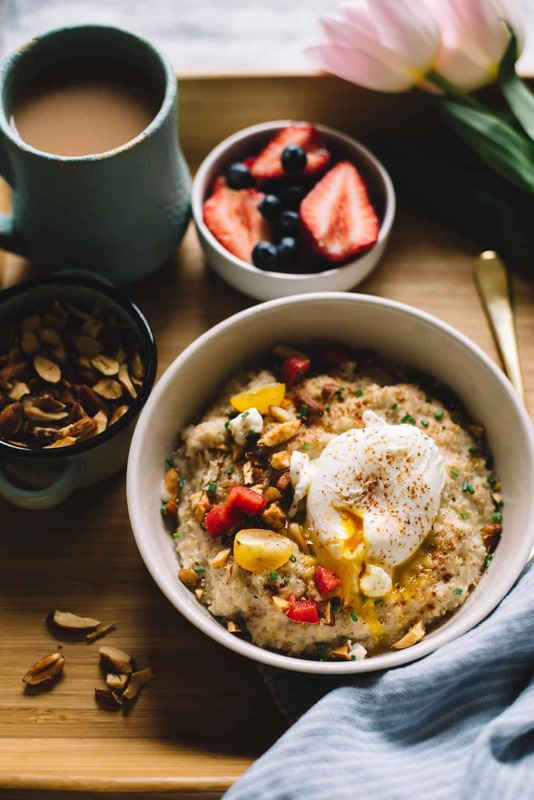 LOOKING FOR MORE WAYS TO COOK WITH OATS? P.S. THANK YOU to Sarah for sending me the cute teal pots! I’m obsessed. Add oatmeal, 3 cups water, and a pinch of salt in a medium saucepan. When water boils, bring it to simmer and cook for an additional 1-2 minutes, until most of the water has been absorbed by the oats. Turn off heat and stir in 2 tablespoons of goat cheese. 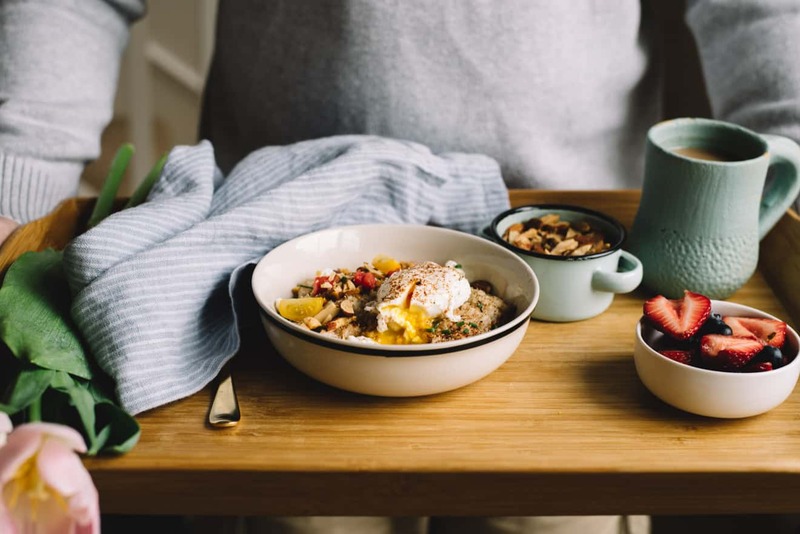 Divide oatmeal into 4 bowls. Fill a pot halfway with water and bring it to boil. Reduce heat to a simmer. You should still see some bubbles rising to the surface. Crack an egg into a small bowl or ramekin. Drop egg into simmering water. Repeat with one more egg. Cook eggs for 3 minutes and remove with a slotted spoon. 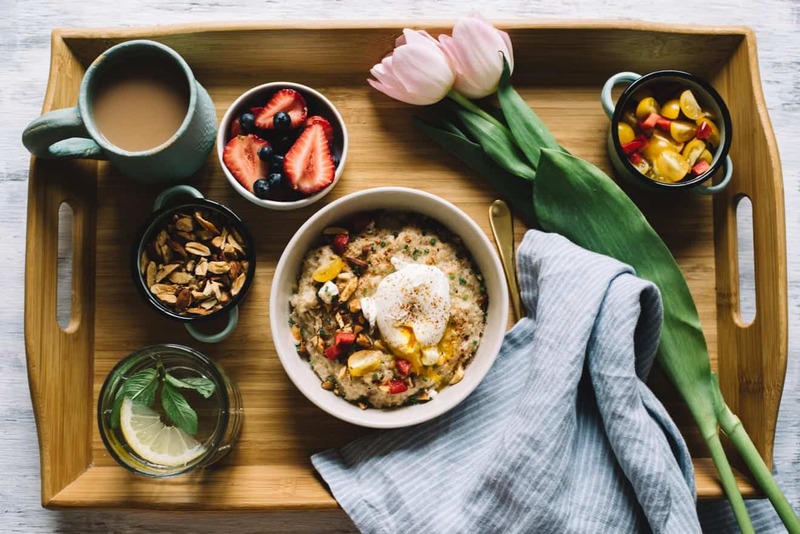 Place an egg on top of each bowl of oatmeal. Cook remaining 2 eggs. Sprinkle each bowl with chopped almonds, black pepper, chives, red pepper, and tomatoes. Serve immediately. If your eggs aren’t that fresh, you’ll want to cook them one at a time. Using a ladle or spoon, swirl water inside the pot, until you create small whirlpool. Drop egg right in the middle. The swirling water helps wrap the egg white around the yolk. Disclosure: This post is sponsored by Blue Diamond Almonds. Thanks, Sonali! Hope you had a wonderful Mother’s Day celebration!